MACHETE: Halfway To Grindhouse Glory – Schlockmania! 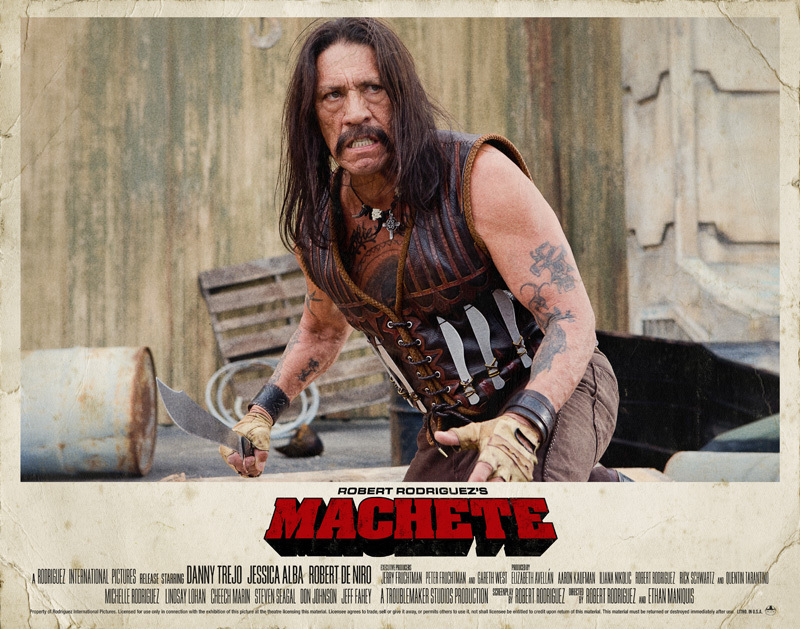 The feature film version of Machete has always seemed like an against-the-odds proposition. It began as a faux trailer in Robert Rodriguez and Quentin Tarantino’s ill-fated Grindhouse epic. The result became popular enough with cult movie types to inspire plans for a feature film version that would reunite trailer stars Danny Trejo, Cheech Marin and Jeff Fahey. Rodriguez and company succeeded in getting it made with an impressive cast and also getting it distributed via 20th Century-Fox… but Fox didn’t seem very interested in promoting it and dumped it out on Labor Day Weekend, a notorious d ead-zone in the film distribution biz. Thankfully, the results are fun to watch if uneven and much more in tune with the spirit of classic exploitation fare than other recent attempts (that was directed at you, Piranha 3D). Machete kicks off in splattery style via a fun prologue that reveals Machete was once a member of the Mexican border patrol before running afoul of Torrez (Steven Seagal), a nasty crimelord who murdered Machete’s wife in front of him and left him to die in a burning house. Cut to the present: Machete is quietly eking out an existence in the States as an illegal-alien day-laborer when a mysterious man named Booth (Fahey) approaches him with a $150,000 offer. Booth asks Machete to assassinate Governor John McLaughlin (Robert DeNiro! ), a white-is-right type running on a platform of “kick the illegals out,” during a campaign rally. Machete takes th e gig but is set up to be a patsy. He narrowly escapes with the help of Luz (Michelle Rodriguez) and sets out to bring the whole house of cards down as Booth and Torrez (who is behind everything) attempt to smoke Machete out with the help of Border Patrol honcho Stillman (Don Johnson). Meanwhile, immigration agent Sartana (Jessica Alba) tries to track Machete down before the bad guys get him. It all culminates in a gang fight-style finale filled with gunfire, muscle cars and the title weapon. The finished product is what we’ve come to expect from Rodriguez (who co-directed this film with Ethan Maniquis), meaning that it has its strengths and its weaknesses. On the strengths side, Machete is energetic and packed to the brim with action scenes featuring wild gimmicks (the best involves Machete escaping from a shootout using one thug’s intestines as an escape rope). It also benefits from fun performances by a game cast: Trejo is suitably tough, Marin gets the laughs and Fahey, Seagal and DeNiro tear into their villainous roles with hammy aplomb. Also worthy of note are Michelle Rodriguez, who gets an above-average tough chick role to work with for once, and Don Johnson, who displays unexpected gravitas as an ice-cold villain. Unfortunately, Machete also has some notable weaknesses that come into focus once the frenetic buzz of watching it wears off. Rodriguez has a history of rushing through the filmmaking process and that can be felt here in different ways. The script has a ton of cool elements and characters that aren’t always used to the best advantage: for instance, the female characters get little to do in the finale and one character gets a big inspirational speech moment that really should have gone to the hero. More impo rtantly, the lead character ends up being a cipher in his own cinematic vehicle. It’s obvious that Machete is intended to be a quiet man of action but that’s no excuse to give his character no arc whatsoever. He’s almost entirely defined by how others react to him. Even Charles Bronson got more to work in his 1980’s-era potboilers than Trejo does here. This is a shame because he proved his dramatic chops a while back in Honeybaby and should have been given a little more room to show that he is more than muscles and a mean face. Finally, the biggest problem with Machete might be that its action sequences actually get less inventive as the film goes along: a church-set shootout suffers from indifferent staging and the finale is little more than a bunch of shots of people shooting off guns hastily intercut with random scenes of extras brawling. When a film opens as strongly as Machete, it really needs to keep upping the ante as it goes along. Like so many elements in the film, the finale could have been mindblowing – and it’s annoying to see it settle for being slapdash. That said, Machete is a still a fun programmer. 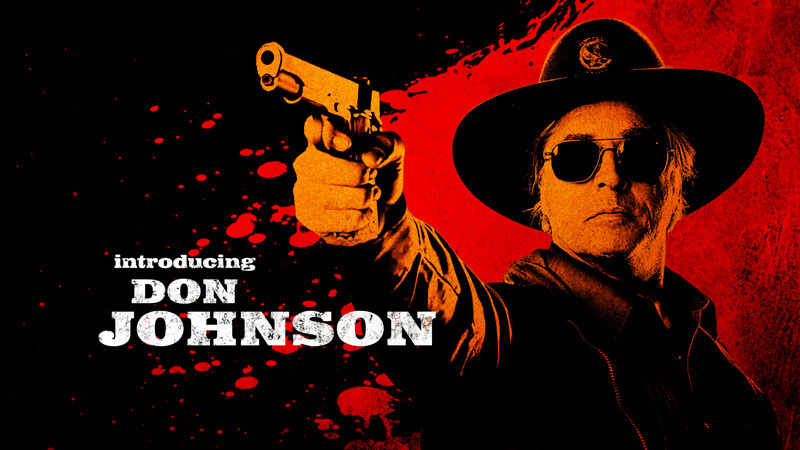 It doesn’t hit the heights of Rodriguez’s best work but it has a raw energy and sense of fun that carries it through. 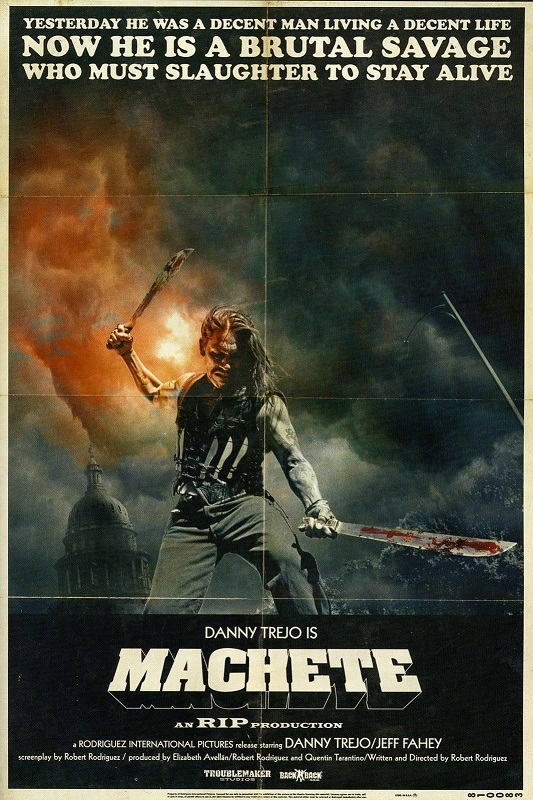 More interestingly, Machete is one of the few modern pseudo-exploitation flicks to reflect the political undercurrent that sometimes popped up in classic exploitation. 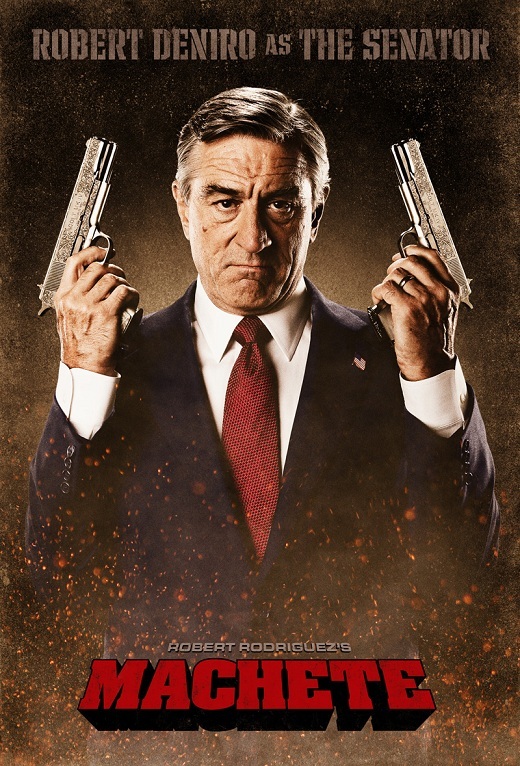 The film is at its best and most spirited when it is taking some pointed, satirical shots at the anti-immigration/fence-up-the-border mania that being hotly debated in the U.S. (the campaign spots for McLaughlin, which boil with faux “tea party” rage, are easily the film’s funniest gags). In short, Rodriguez needs to slow down and take a little more time with his work but this film shows he’s got a stronger knack for delivering grindhouse-inspired fun than most of his competitors. Whatever its flaws, Machete still delivers the excitement and risky content that made classic exploitation cinema fun.